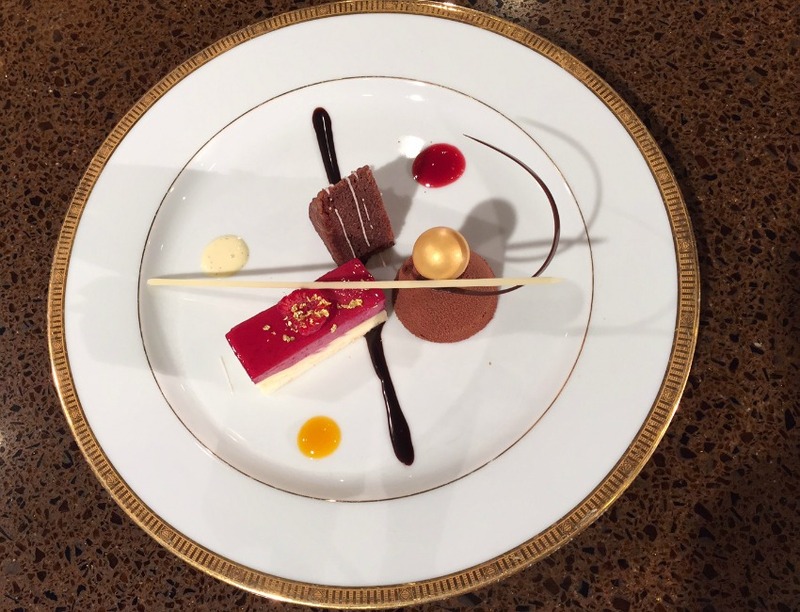 The dessert trio includes Cassis Lemon Cheesecake, Chocolate Alliance Salted Caramel, and Hazelnut Dacquoise. The Beverly Hilton has unveiled the menu for Sunday’s Golden Globes, and it features reinterpreted American classics made with local ingredients. Executive chef Troy N. Thompson, “inspired by California’s abundance of fresh produce,” will prepare what he’s calling his Modern Waldorf Salad, plus a duo of filet mignon and arctic char. 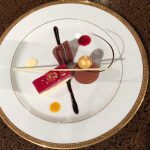 Executive pastry chef Thomas Henzi will fill up his plates with a playful and decadent dessert trio. Here’s a look at what the Hollywood elite will be eating on Sunday night. 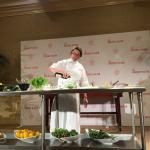 The Modern Waldorf Salad has a lemon emulsion dressing instead of mayonnaise. 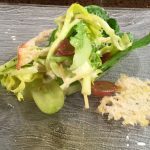 Executive chef Troy N. Thompson puts together his Modern Waldorf Salad. 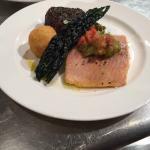 The surf-and-turf duo of Roasted Onion-Marinated Filet Mignon and Arctic Char with Potato Croquette, Heirloom Cherries, and Tomato Fondue is topped with a Tuscan kale chip. 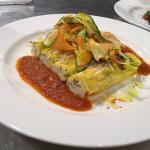 Vegetarians can enjoy this cannelloni. 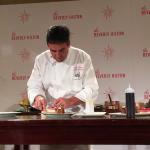 Executive pastry chef Thomas Henzi plates his dessert trio. It’s the food paparazzi at the Beverly Hilton.